The year 2018 ended on a high note for China’s peripheral diplomacy as Sino-India relations are in good shape owing to several positive steps taken by the two governments. Relations between the two countries had turned sour in the fall of 2017 due to border disputes in the South-Western part of mainland China. Several pundits had predicted that the standoff would escalate into a major military confrontation but the events that ensued proved them wrong. Diplomatic efforts from both sides mitigated the conflict and culminated into an informal summit between President Xi and Prime Minister Modi which was held in Wuhan in April 2018. This summit had serendipitous effects that would reverberate to this day as they have come to be known as the ectoplasm essence of the ‘Wuhan Spirit’. The two leaders agreed to focus on areas of cooperation and respective national development which would consequently enable them to set aside their differences. They agreed to consolidate their resources in efforts of hastening regional development. The ‘China-India Plus’ cooperation model for regional development was devised and this would serve as a trust-building mechanism between two great economies that would then work together on several projects in and around the South-Asian region. By October, the fruits of this arrangement could already be seen as the first phase of the India-China joint training for Afghan diplomats commenced in Delhi from October 15 to 26. The second phase was then held a month later in Beijing from November 18 to December 2. India’s External affairs minister, Sushma Swaraj remarked that the joint training sessions were building blocks for a long-term trilateral partnership for the befit of Afghanistan. This came as a surprise to many as India had shown great reluctance towards trilateral interactions involving China in Nepal. A similar sentiment had just two days earlier been expressed on the official account of the Indian Embassy in Afghanistan, which also described the training as ‘Trilateral Cooperation between India China and Afghanistan’. This was a major indication of the shift in India’s traditional position and created optimism for greater cooperation between the two countries. The Doklam military standoff, in the border dispute, may just have laid the seeds for greater friendship between China and India as the efforts to resolve it resulted in many positive outcomes for the future of Sino-Indian bilateral ties. In the meetings in Wuhan, Xi and Modi also saw the need to pursue more people-to-people mechanisms of high-level cooperation. At the end of December 2018, Chinese foreign minister; Wang Yi visited India to attend the first meeting of the China-India high-level people-to-people and cultural exchanges mechanism building on the agreement reached by the two countries in Wuhan. At the meetings in Delhi, delegates from both countries reviewed the progress of the people-to-people initiative and agreed that the cultural exchange has been conducive for consolidating the social base of China-India friendships. They identified areas for further cooperation while strengthening existing programs such as the China India think tanks; youth exchange programs, education cooperation among others. On the regional and the multilateral level, a consensus was reached to use organisations like East Asia Cooperation, BRICS, Ancient Civilisations forum and the Shanghai Cooperation Organisation in consolidated efforts of peace-building and development. In addition, Sino-India economic ties improved significantly in 2018. China has now begun importing Agricultural and Pharmaceutical products from India and this has been quite a welcome development for India. Another milestone achieved in 2018 as the two countries deepened their defence and security cooperation. Beijing and Delhi held the first high-level meeting on bilateral security cooperation with an objective of strengthening cooperation on counter-terrorism, drug control among others. Their two militaries also resumed military drills that had stalled in the aftermath of Doklam standoff. India also agreed to the renaming of Taipei and this was a very significant step in strengthening the bilateral relations. Increased cooperation between China and India could be instrumental in fostering sustainable peace, stability and development in the region. Pundits now believe, increased strategic cooperation between the two Asian giants could also have interesting implications to the global balance of power. The future looks bright for Sino-India relations as just in 2018; the two sides maintained strategic communication. The two leaders met several times for high-level meetings in an effort to build bridges on areas of dispute as well as to strengthen the mutual desire for commensurate growth and development. 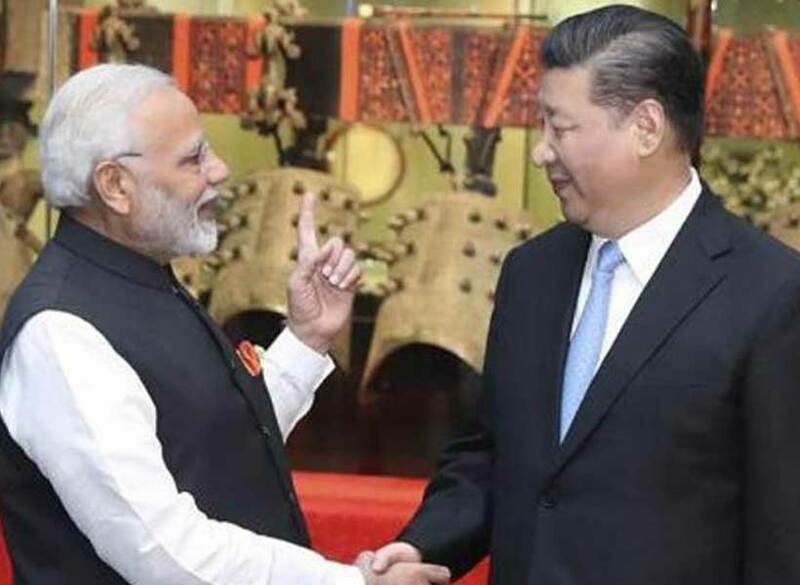 2019 may even bring greater areas of convergence for Sino-India relations especially if the US protectionist agenda persists, and with the ‘spirit of Wuhan’ working well for the two countries it is doubtful whether there would be any major trepidation.